Anders is an entrepreneur and early stage tech investor. Prior to Facet, Anders was a founding partner at Argyle Ventures. Argyle invests in emerging startup markets, with a focus on advertising technology, financial technology, and healthcare IT. Prior to Argyle, Anders was on the early team at LiveRamp (acquired by Acxiom for $310 million), and has been involved as an investor or advisor in many other startups in Silicon Valley. Lisa is a financial services executive with over 25 years experience analyzing businesses and investing in technology. She spent 10 years of her career at Legg Mason managing the top decile $4 billion Special Investment Trust and for 10 years after that, she managed hedge funds including Lane Five Partners, LP. Brent serves as head of planning for Facet. He brings more than a decade of experience to the team as an investment advisor and financial planner for high net worth individuals and families. Prior to Facet, Brent was a principal at an independent wealth management firm where he served as a lead advisor and chaired the investment committee. Brent is a CERTIFIED FINANCIAL PLANNER™ (CFP®) professional and a Chartered Financial Consultant® (ChFC®). He also holds a life and health insurance license in the state of Maryland. Chris serves as the Head of Operations for Facet. He has over 20 years of experience in scaling and leading an array of operations teams covering back office processing, intermediary support and high value client service. Prior to Facet, Chris was at T. Rowe Price where he held roles across different locations including leadership for their individual and institutional services organization, starting up a new business capabilities and service provider oversight team, and running their Colorado Springs operations. Marcus serves as the Head of Product for Facet. Marcus has spent his career developing products ranging from medical devices to financial services products. No matter the industry, Marcus brings a passion to solving meaningful problems through first principles, empathy, and collaboration. Gorkem is an experienced technical leader and expert in artificial intelligence. He has served as Managing Director of the Johns Hopkins Medicine Technology Innovation Center. 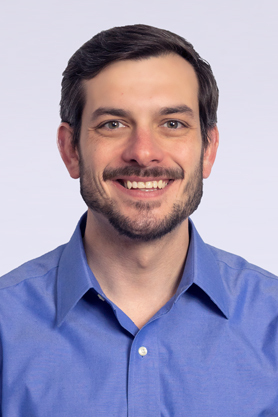 Gorkem is actively involved in the Baltimore startup community; he is the co-founder of Radiology Response – a medical imaging second opinion company; the co-founder for emocha Mobile Health, Inc – a mobile health platform to streamline continuum of care. He is and has served in an advisory role for multiple startups. Austen leads Facet’s Engineering team. He has over 16 years of experience leading teams in developing enterprise systems across several industries. Before joining Facet, Austen led the development teams at both Shepard Associates and Bass Consulting. Austen is a full-stack developer who has driven development for many high visibility projects for clients such as Palm, Paypal, Boston Scientific, Stryker, Covidien, Riata Capital, and MarkMonitor. Harry serves as a lead planner and the Head of Onboarding at Facet Wealth. In his role, Harry manages a team dedicated to onboarding new Facet clients. Prior to Facet, Harry worked at an independent wealth management firm consulting with ultra-affluent families on sophisticated estate tax and income tax issues. Harry is a CERTIFIED FINANCIAL PLANNER™ (CFP®) professional. He also holds life and health insurance licenses in various states. Patrick is an experienced entrepreneur and angel investor, having generated more than $1B in exits over his career. He was a co-founder and executive at technology companies including NexRep, Keniks and LiveOps. He is widely recognized as an expert in technology enabled services. Before entering the tech world, Patrick worked in M&A at Morgan Stanley and served four years as a lieutenant in the U.S. Army. Patrick currently serves on the Boards of Disqus and Maven. A versatile and seasoned industry veteran, Tyler Craig serves as Planning Team Lead for Facet Wealth. He brings over a decade of experience serving in an advisory services and management capacity. As a CERTIFIED FINANCIAL PLANNER™ (CFP®), Tyler will guide Facet’s national team of CFP® Professionals and deliver a best-in-industry client experience. Most recently, Tyler led the West Coast mass affluent and high-net-worth teams of Vanguard’s Personal Advisor Services, managing more than 11,000 clients and over 100 CFP® Professionals. Dan has over 17 years experience designing and planning online applications with various SaaS products and online marketing campaigns. Working with clients such as Black & Decker, Citi Group, Toyota, Pinnacle/Titleist Golf, Time Warner Cable, US Air Force, CSX Transportation, McGraw-Hill, FAA, FDA, NAVY, Lippincott Williams & Wilkins and Under Armour. Jewell brings over 13 years of investment operations experience to Facet Wealth as the Compliance, HR & Operations Manager. She has worked in both the private and public sectors focusing on practice management, efficiency and overall firm operations. Ben is a software engineer with an interest in AI and machine learning. He has lead a team of engineers in developing software to predict and route network issues harnessing modified sentiment analysis models. Ben brings these experiences to Facet and is currently developing an AI to improve the capabilities for financial advisors. Wesley is a Senior Software Engineer with 12 years of public sector software development experience, including working for the Department of Defense and the Department of Health and Human Services. Lori brings over 17 years of industry experience to the team. Starting her career at Legg Mason, as a part of the Funds Marketing team and most recently, she spent the last 12 years at Schwab Advisor Services as a Senior Relationship Manager. In addition to being an engaged mom, Lori’s primary passion is helping advisors grow their practice most efficiently and profitably. Alex leverages 8 years of financial sales experience to accelerate business development for the Facet revenue team. He began his career in Treasury Management at PNC Bank, where he worked with corporate and institutional clients to help them increase their efficiency and profitability. Most recently, Alex served as a Mortgage Banker with Apex Home Loans. He enjoys learning, strategic problem solving, and building meaningful relationships. Ben is a Senior Software Engineer with over a decade of experience in devops and development, as well as building robust internet software used by leaders in several industries. He brings big-business perspective and experience to the software platform with an eye to scaling up so we can continue to provide an excellent level of service to our growing number of clients and advisors. Andrew is a Software Engineer at Facet. He started his career in the healthcare industry developing a presentation ready, business intelligence application backed by large datasets. In bringing his experience in building modern web applications, he continues to contribute to the overall software development used to improve the capabilities of our financial advisors. Kayla brings nearly a decade of industry experience to the team. She started her career as a Corporate Trainee at Pershing LLC, serving roles in Prime Brokerage and Pershing Advisor Solutions helping RIA’s and Family Offices find solutions for their business. Kayla was recently nominated as InvestmentNews’ 40 Under 40 due to her passion for engaging Next Generation talent and promoting Financial Literacy in our communities.